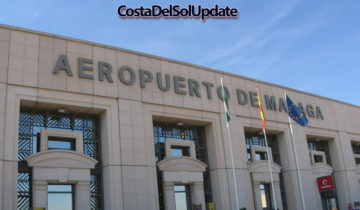 Costa Del Sol Bars Forced To Fly England Flag. 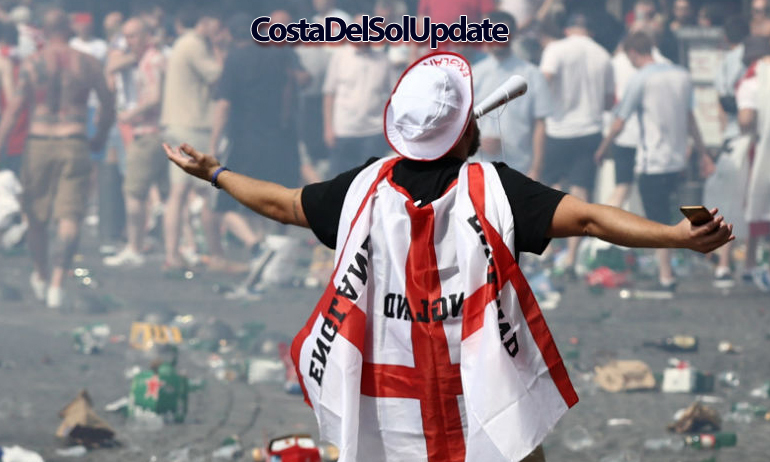 The Townhall has passed a temporary law which requires every bar on the Costa Del Sol to fly the England flag for as long as the team remain in the World Cup. 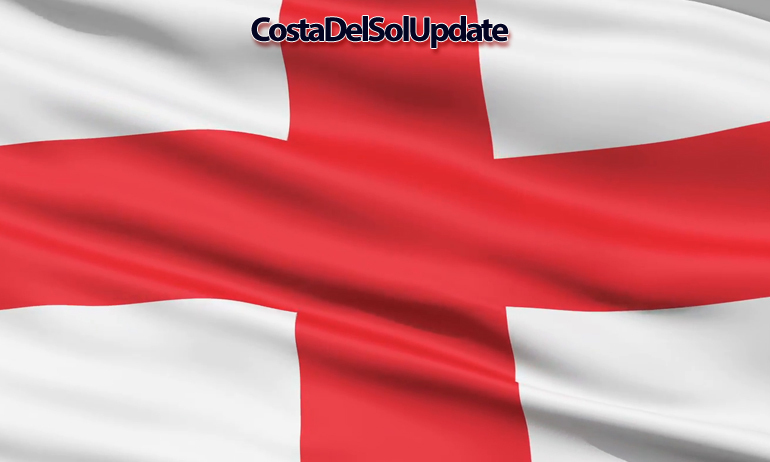 Bar owners on the Costa Del Sol have been forced to rush out and buy Saint George’s flags to display during the remainder of England’s World Cup campaign, or face fines of almost a thousand euros. Andalucia County Council passed a surprise ruling yesterday, which they say is aimed at fostering better relations between Spanish bars and British tourists and expats during the World Cup. England supporters seem “like a refined and well mannered group of people”. However, some Spanish bar owners are delighted to be welcoming England fans into their premises. Alfonso Portero owns a bar in Benalmadena. He told Costa Del Sol Update “This is brilliant. We’re out of the contest. This way, we Spanish still get to support a team, we get a great atmosphere, and it will attract new customers. I can’t wait to have my bar full of England supporters, they seem like a refined and well mannered group of people”. 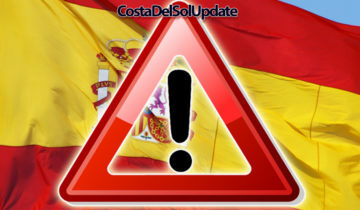 The Guardia Civil will be patrolling the tourist hot spots during England’s games, keeping an eye out for venues not displaying the correct flag. Fines will be imposed on the spot, with bar owners facing fines of up to €900 for not correctly showing their support for England. Ivan Pêldroed is originally from Birmingham but now runs a Welsh themed bar in Torremolinos. He is unhappy about this new rule and says he’d rather get fined than fly an England flag. “Actually I’m not from Birmingham” Ivor told Costa Del Sol Update, “I’ve never even been there. I’m Welsh. There’s no way I’m having those louts in my bar singing about their three lions. I’d rather pay the fine than fly that flag”. 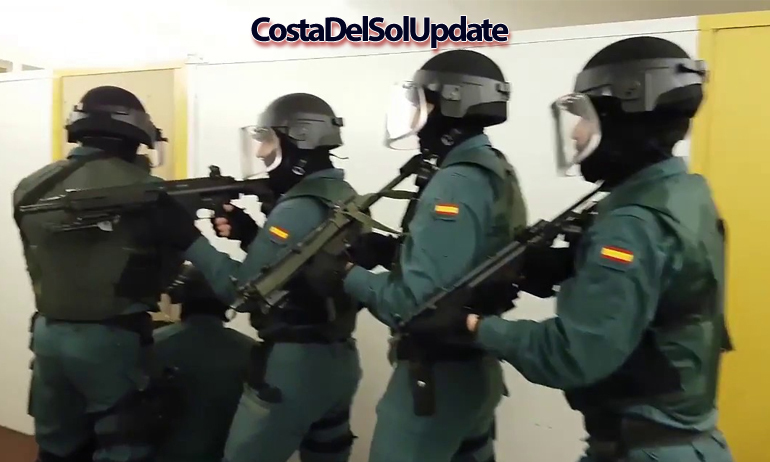 Armed officers prepare to storm a bar in Estepona which has been reported for flying an Irish flag. Robert Charlton is a British expat living in Marbella. He doesn’t see what all the fuss is about. “It’s not as if anyone’s going to have to put up with this for long. England can’t play football. They’ve fluked it this far, but when they come up against a proper team like Doncaster United they will fall apart”. Do you agree that everyone should be forced to support England? Have your say in the comments section below! 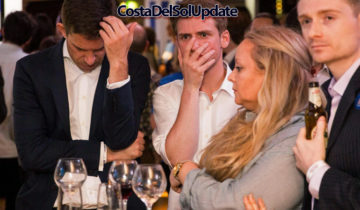 Click here for more completely genuine Costa Del Sol news stories.